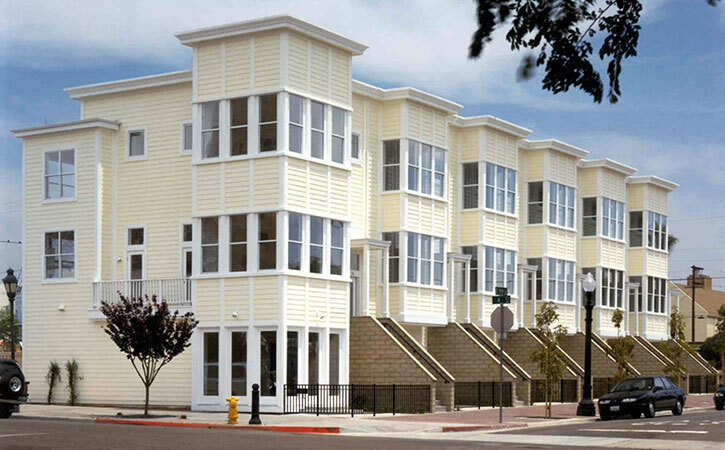 This new construction live-work row home in-fill project is located in the historic Victorian “Kimball Block” in National City, California. 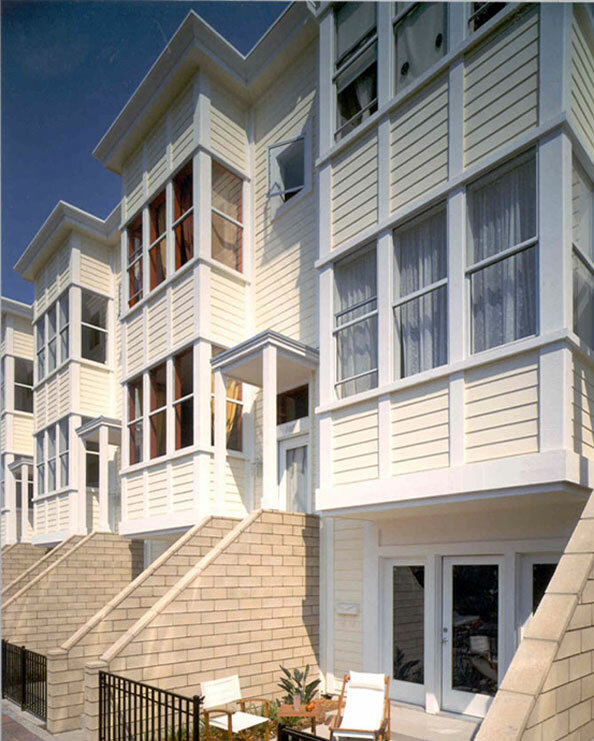 The six live-work row homes are three stories in height and each have three-bedrooms, three-bathrooms, and a one-car garage. 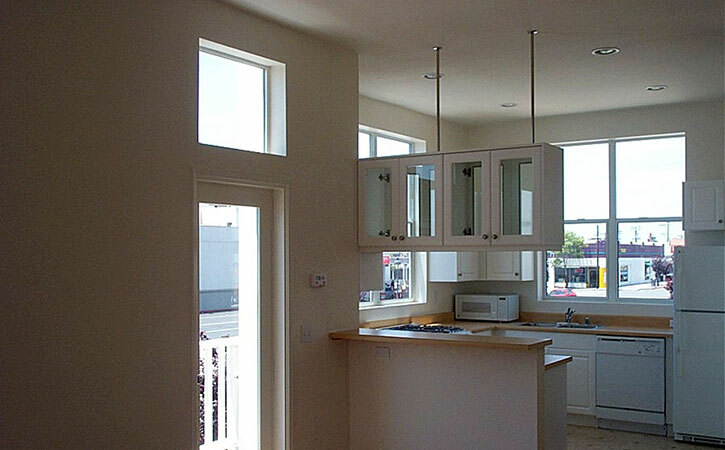 Each wood framed unit is approximately 1800 square feet and incorporates high ceilings with individual front and backyards.